016-africa-travel-photographer-senegal-2008_9555-Edit-irene-abdou-photography.jpg | Irene Abdou Photography, LLC - Travel. Lifestyle. Documentary. NGOs, Development & Public Health. 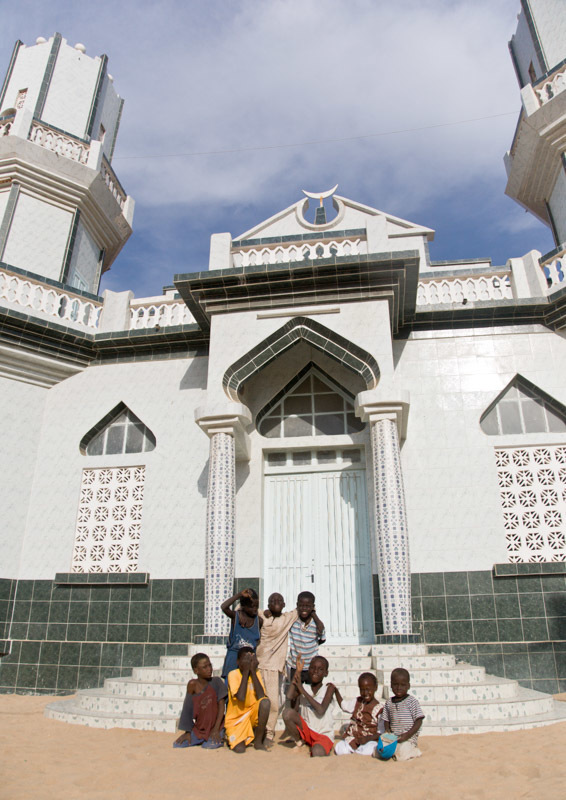 After some time, I regretfully thank Abdoulayi for his hospitality, and my driver and I head back to the taxi, pausing along the way to photograph a group of children in front of a roadside mosque and to admire the colorful wall paintings advertising a tailor's shop.